Fire fighters on Monday battled a huge inferno that broke out in a building at the Department of Defence headquarters. The cause of the fire, which destroyed the house located near Valley Road, is yet to be established. 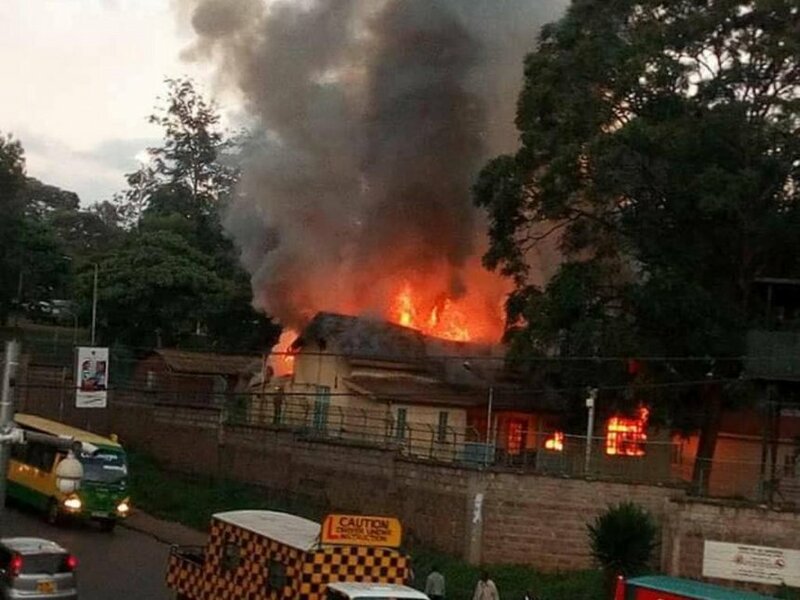 Elsewhere, several structures were last night burned down in Kangemi. No one was injured in the incident.